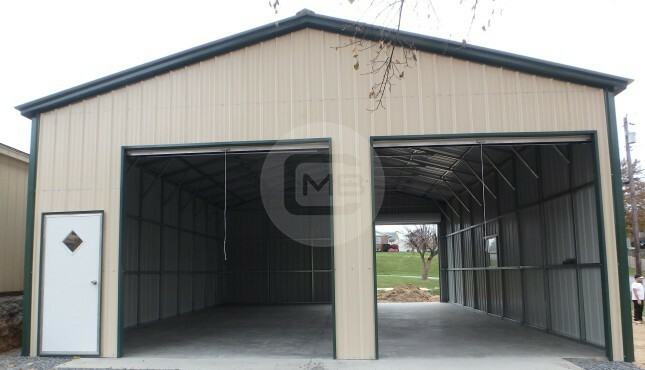 Steel Barn – 48×30’ for all your farming equipment storage needs. 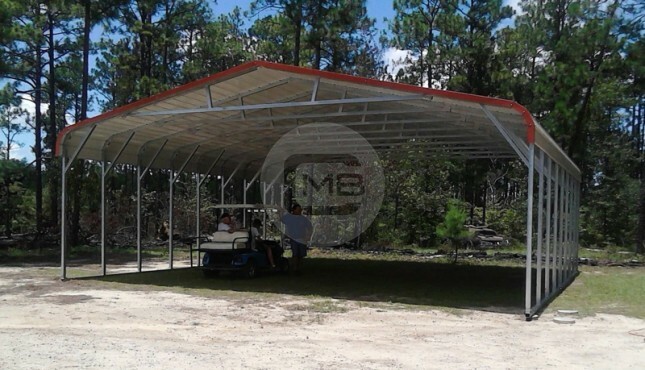 This prefab steel barn is 48’ wide where the center structure is 24’ wide and both the attached lean-tos are 12’ wide each, actual length is 31’ as there is an overhang of one foot, the height of center section is 12’ while the lean-to is 9’ with continuous roof. 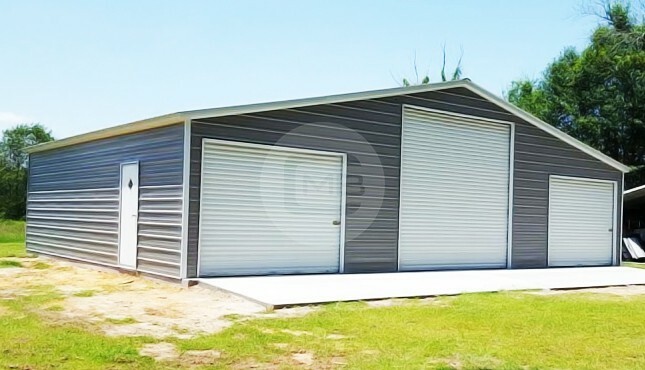 One-year workmanship warranty, 10 year panel warranty (chipping and cracking only), and 20 year rust through warranty on both the 12 gauge and 14 gauge frames.